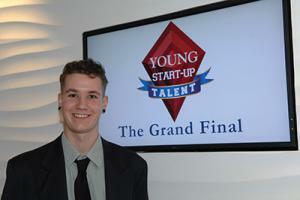 Alex, a Level 2 Bench Joinery student impressed the judges at the Young Start Up Talent competition with his bespoke skateboard business idea. Alex secured a place in the finals of the competition that aims to support 16 – 25 year old entrepreneurs with a flair for business. “Our past winners and finalists have walked away with a host of contacts that even senior business persons would love to have themselves, giving them the best possible chance of making their venture successful."